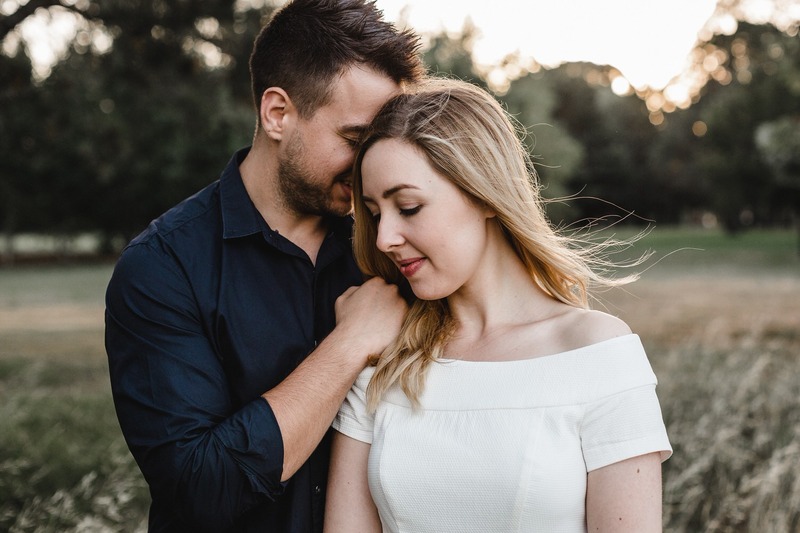 When I first met Laura and Nik I could tell they were super excited for the year ahead together. 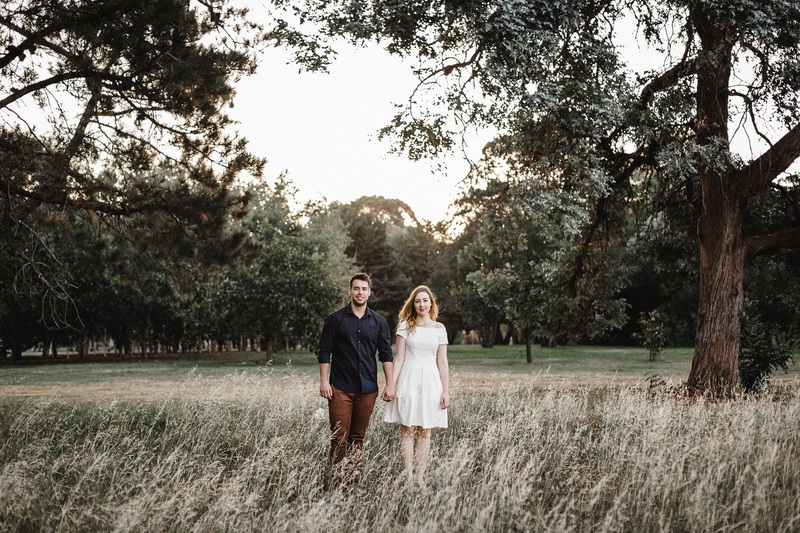 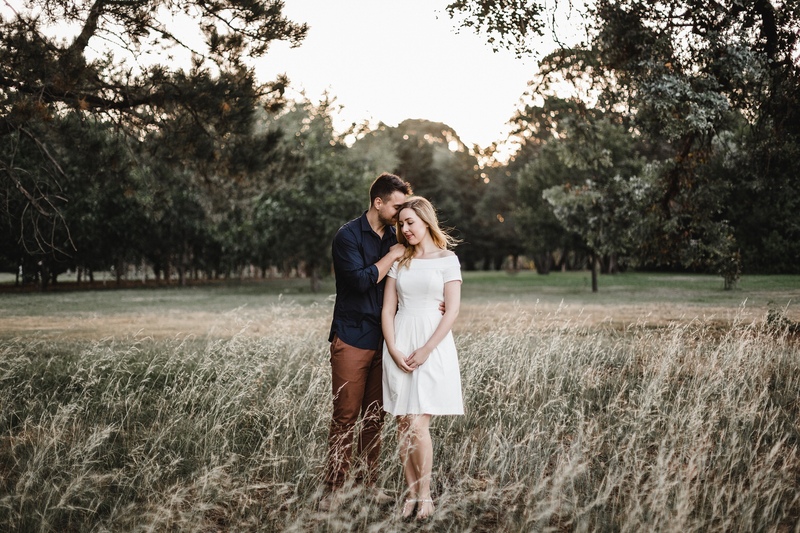 With their wedding coming up in May at Pialligo Estate (one of the best wedding locations in Canberra) we decided that an engagement shoot prior would be the perfect opportunity to get to know one another better and for them to see how I get my candid, romantic shots. 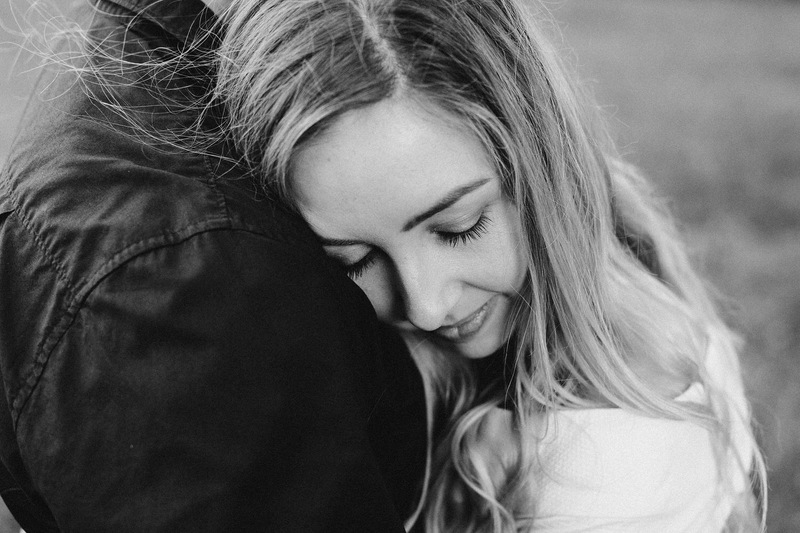 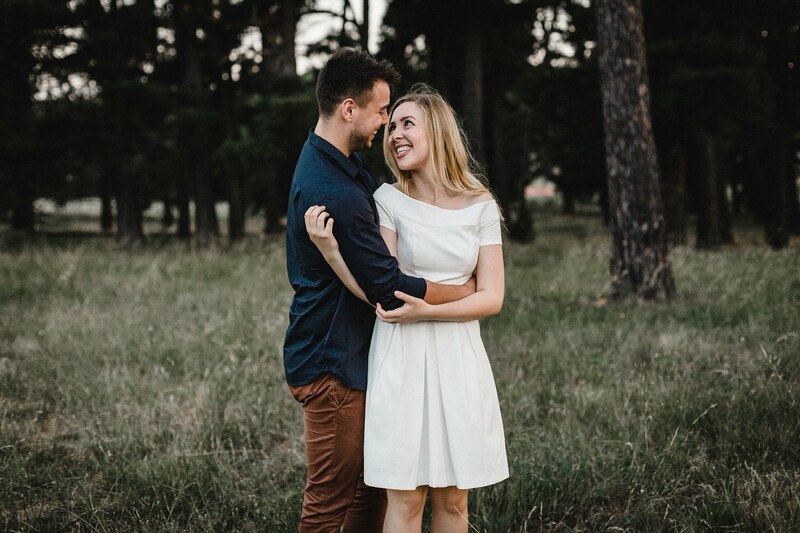 These guys were full of laughs and were so relaxed together – a dedication to how long they have known each other (they met in high school at a Friday night ice skating group!). 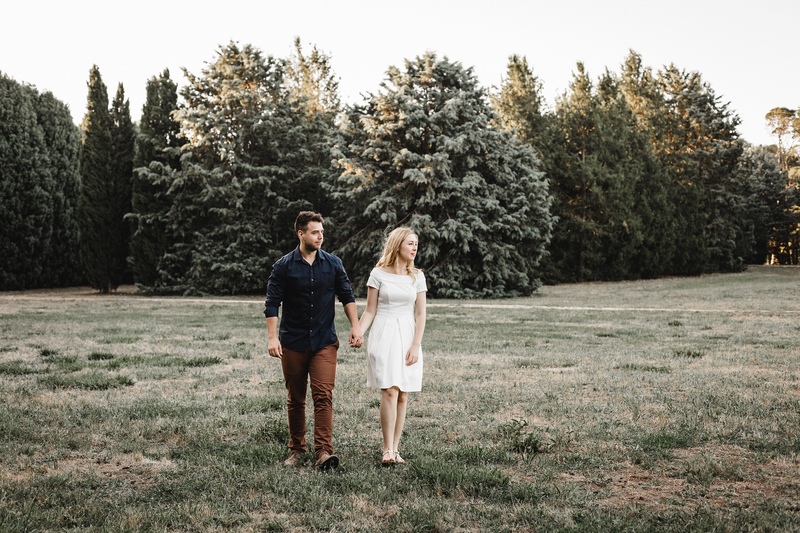 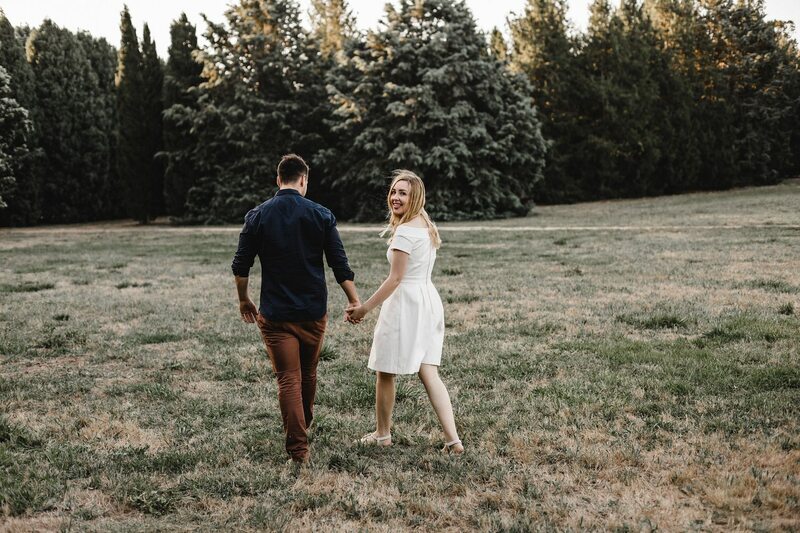 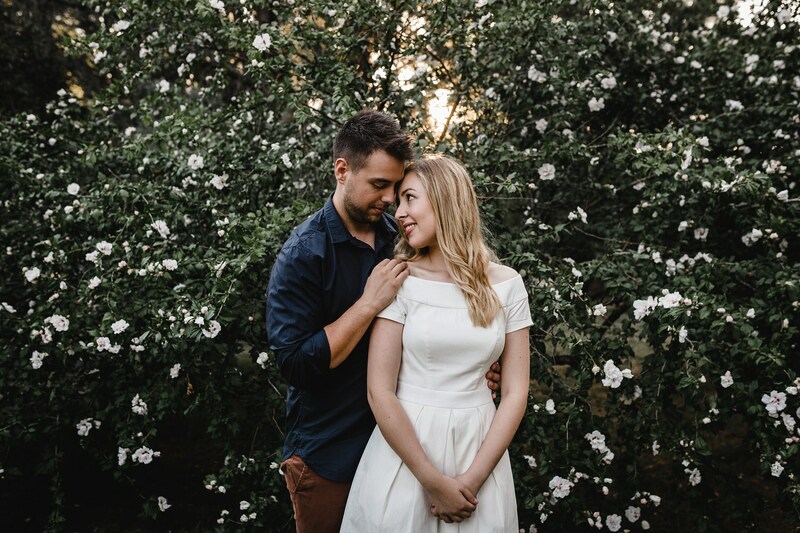 From their first date holding hands, walking through Canberra in highschool to planning their wedding – they have always been loyal, passionate and generous when it comes to building their relationship. 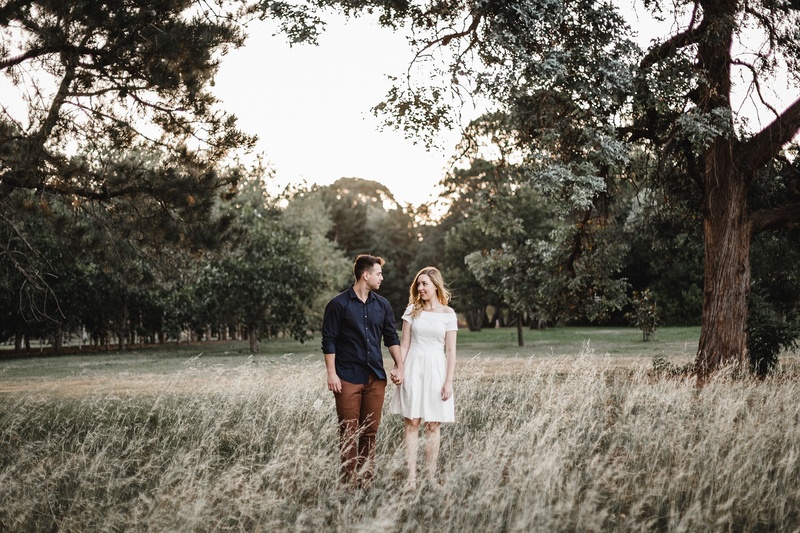 I decided with the long summer days approaching to plan a moody romantic engagement shoot at Weston Park, Yarralumla. 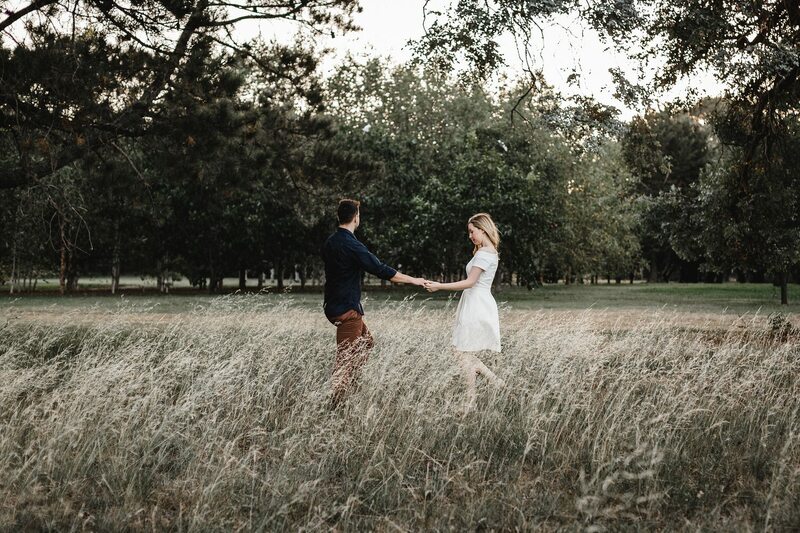 This park is so central to Canberra and such a lovely spot to walk around among the many different floral settings. 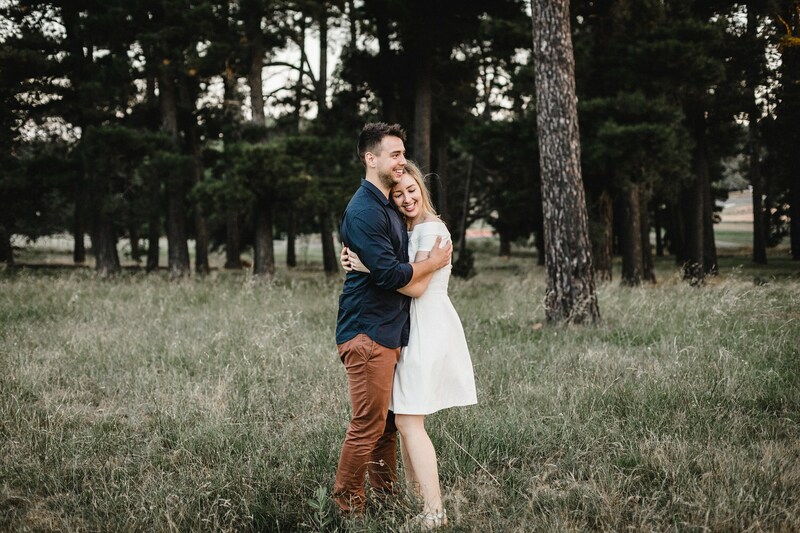 The place is scattered with kangaroos so it’s always fun watching them when I take couples to some more secluded areas to shoot. 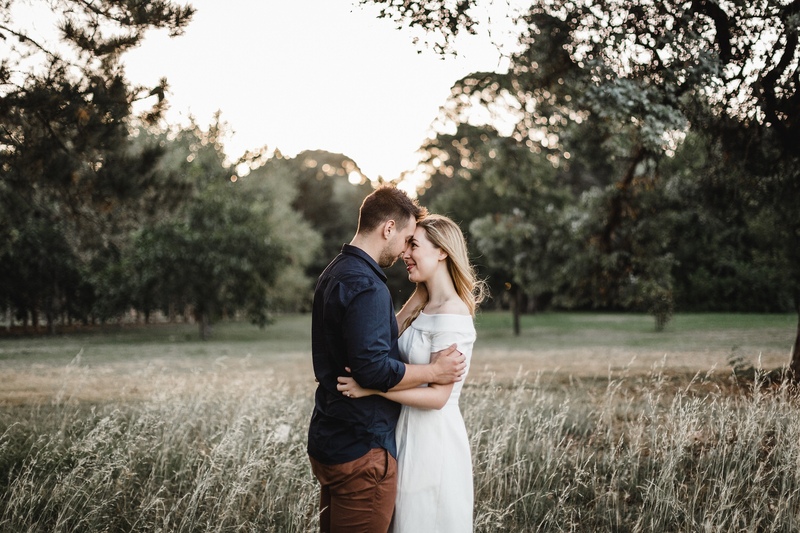 We had the most perfect sunset to create a dreamy look to their shoot, a great reason to always shoot in that golden hour!